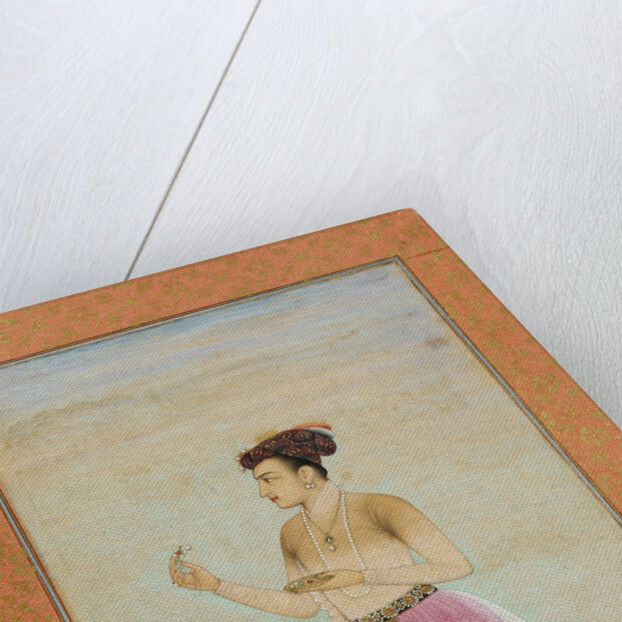 Prince Dara Shikoh wearing a traditional Mughal outfit, adorned with magnificent jewels reflecting his status. 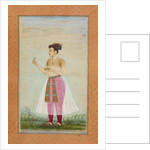 Add.Or.3129, f. 19v. 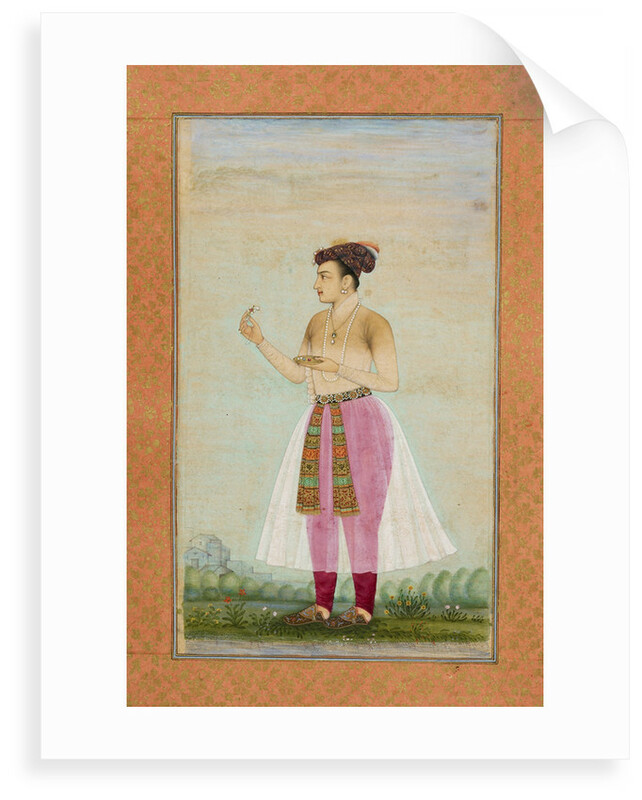 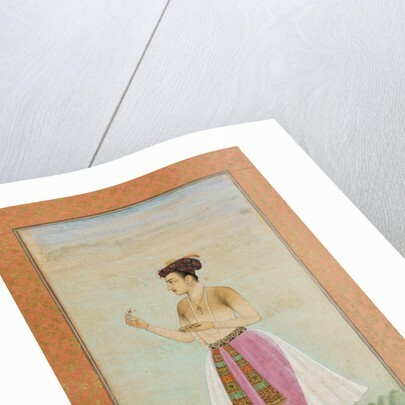 As featured in the British Library exhibition, Mughal India: Art, Culture and Empire. More by the artist Chitarman.